Members of the public and the media are welcome to attend any public meetings of their local district council. 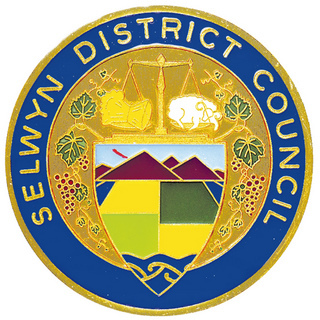 The Selwyn District Council generally meets on the second Wednesday of each month. The meetings calendar provides information about these, and other council and community related, meetings. The current Mayor, Mr Sam Broughton, encourages a friendly atmosphere to generate open and healthy discussion and debate while still ensuring formality within the proceedings of each meeting. On opening each fortnightly meeting held in the Council Chambers at Rolleston, Councillors stand and the Mayor says the affirmation, then the meeting begins. Selwyn District Council welcomes speakers to its public forums and offers the following guidelines to help you in this submission process. It is the Council’s policy that speaking rights generally not be granted by any Community Board, Committee or Council meeting when the matter for consideration is a report which includes a draft of a proposed Plan Change or Variation which is being considered for formal recommendation to, or adoption by, the Council. If a submitter is uncertain as to the appropriateness of a subject to be raised at the forum, they can seek advice from the Executive Assistant. Unless given specific permission by the Mayor or Chairperson, submitters are requested to present and complete their submission within 10 minutes. Out of courtesy to others, submitters are asked to stay within the allotted time. Submitters are requested to indicate their intention to attend the public forum at least three days prior to the meeting and provide their name, contact number and details of the topic on which they wish to speak. It would be of assistance to Councillors and staff if a written summary of the submitter’s topic is submitted for inclusion on the agenda, or tabled at the forum. If a written submission is presented prior to the meeting, it will not be necessary for the submitter to read it verbatim, but merely to outline the general content. The Mayor or Chairperson will exercise judgment to determine the appropriateness of issues raised for discussion at the table and if the issue is deemed inappropriate guidance will be offered. Councillors will listen to what the submitter has to say. However, they will not debate comments made during the presentation. Councillors may ask questions of clarification. If no questions are asked, this does not imply disagreement with, or disinterest in comments made, it means that your message is understood. Councillors may refer to the submitter’s comments when the agenda item is debated. Councillors or staff will not answer questions during the public forum; this will be done via a verbal or written response where necessary. In some circumstances the items on the meeting agenda will be considered as 'Public Excluded' items. This means items will be discussed without the presence of members of the public or any media people. This may be due for example to the commercial sensitivity of the item or to protect a person's privacy. The Local Government Official Information and Meetings Act (LGOIMA) 1987, provides grounds under which reports may be considered with the exclusion of the general public and media. In such cases, there will be clear direction from the Council as to what is to be considered under the powers of the Act. The Selwyn District Council agenda identifies any Public Excluded item(s) and a sign on the door of the Council Chambers indicates whether a meeting taking place is open to the public or not. Council meetings generally address items open to the public first, then by resolution, move into the 'public excluded' session. At this point any members of the public or media people are asked to leave the meeting. In October 1989, as a result of Central Government legislation, Ellesmere, Malvern and part of Paparua Counties were amalgamated to form the Selwyn District Council. In 1990 people were asked to submit design ideas for a crest to represent the new Council. The Crest is based primarily on a design submitted by Sam Park a 17 year old Christchurch Boys High School boarder. Sam's father was a teacher at the Homebush School (in the Selwyn District) at the time. The stylised symbols represent various activities which generate income throughout the Selwyn district and over the region of Canterbury. The insert is a representation of the geography of Canterbury where Selwyn District Council is located, from the Alps, across the plains and over to the sea. The position of mayor is as the leader of the council and its councillors. The Mayoral chain recognises the symbolic importance of this position and his or her status as the leader. 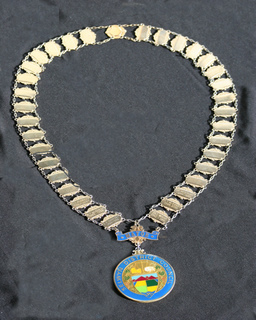 The chain is worn during council meetings and when attending public events representing the council. The Mayoral Chain is made up of links, some of which are inscribed with the name and term of office of each of the previous Mayors. The large link at the bottom carries the Council’s Crest. If you are interested in learning more about the Council and its meetings, please contact the Council Secretary at council.secretary@selwyn.govt.nz. You are welcome to come along and sit in on a meeting. You don't need to advise anyone first. If the sign on the door says Public Meeting in Progress, just come in and take a seat on the right. The Council's recent meetings Agendas and Minutes are available on line. The following links will provide information about the district and its activities. 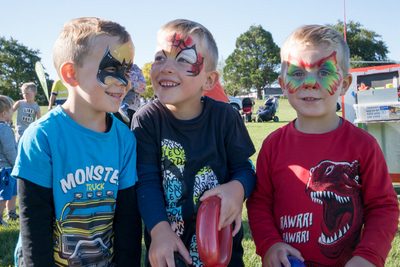 Community Activities happening in Selwyn District. Council Chambers, Selwyn District Council, Norman Kirk Drive, Rolleston.